Let's face it ladies! We all own TONS of shoes that we love, especially at the time of purchase, but how often do we really get to wear them? The thought that always runs through my head, "Is this the right option for what I have to do throughout my day?" *insert concerned face emoji* Heels, at least the ones I own that are mostly 5 inches or more, are usually not the right choice, so I always reach for my stylish flats! Now, these comfy babies are sold at my fave place on earth, TARGET! If you guys have been with me for a while, then you know my undying love for this place! I am there at LEAST 5x/week to get food, makeup, home decor, toys, cleaning supplies, clothes, shoes and everything else under the sun! 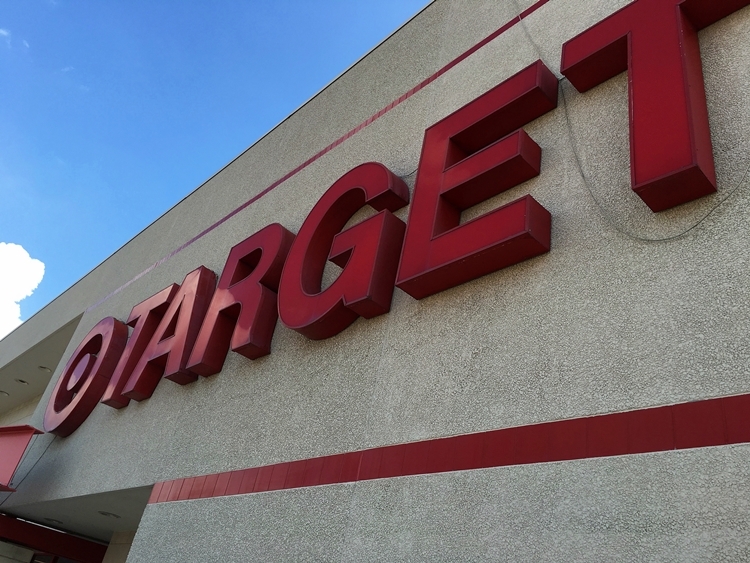 It's not too far from my apartment, so the convenience is there and who doesn't love Target? These were located by the pharmacy section (which converted to a CVS pharmacy back in June according to the pharmacist). 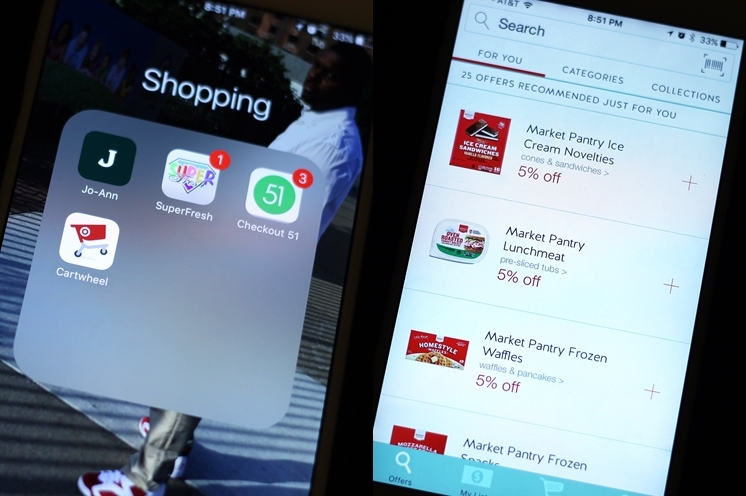 I have a coupon link for you guys if you have the Target Cartwheel app (which I don't know why you wouldn't) to save you 5% off of your total! 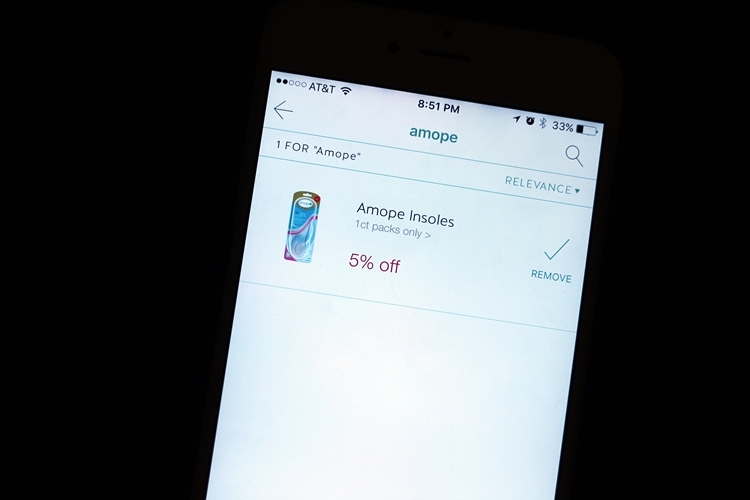 I chose to get the Amopé Gel Activ™ Flat Shoes but they also offer Amopé Gel Activ Everyday Heels, Amopé Gel Activ Extreme Heel and Amopé Gel Activ Open Shoes. 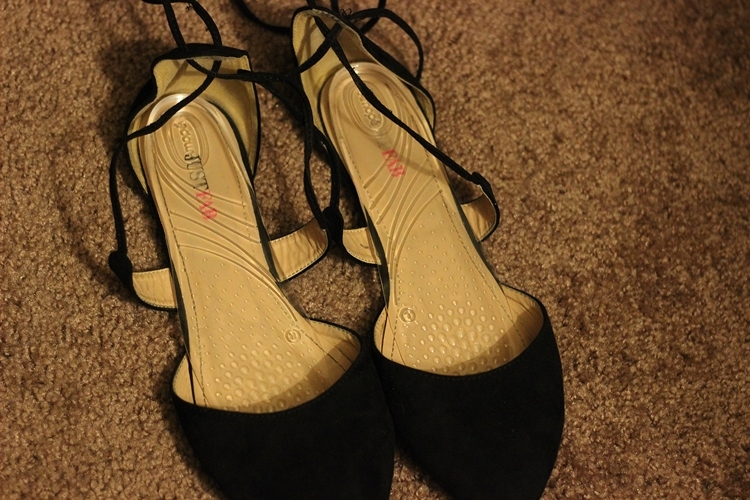 I wanted to give them a try in my go to flats since I tend to go with these more than heels. It just makes sense in my head. So after shopping it up with the kiddos, I came home and immediately grabbed my fave go-to shoes and went to work. I thought that these would be kind of hard to use since they are made of a sticky material, which doesn't lose its tack, even if removed from one shoe and put in another, but no adjustments were needed! 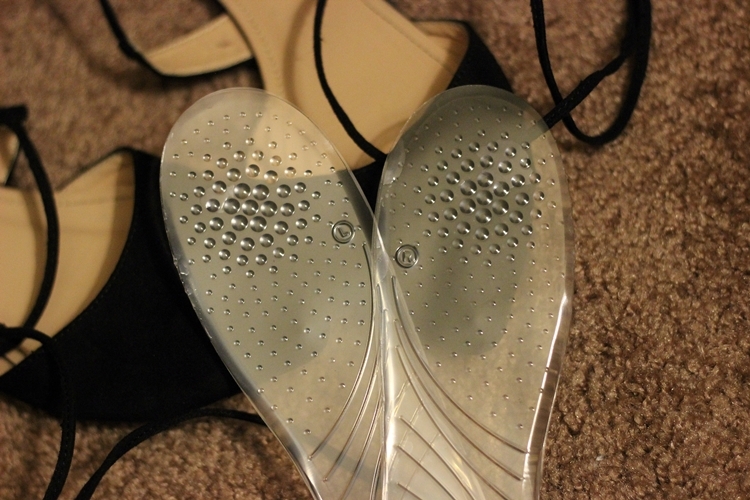 I like the fact that they are labeled right from left AND are made with super concentrated gel and are 25% thinner than other insoles, so they fit in even the most slender shoes without crowding toes! These are by far the BEST inserts I've come across! And I'm not just saying this guys, I really mean it! They really do hold in place and give you that needed arch support in flat, no arch shoes like these. They have support that is tailored to the pressure points created by the different kinds of shoes women wear. For e.g. Ball of foot and extra arch support for extreme heels, arch support and ball of foot support for everyday heels, heel support for flat shoes and extra cushioning on the ball of foot and narrow design for open shoe insoles. I don't believe there are any other insoles in the market for women like this, pure lifesavers! Don't forget to get your coupon code using the Target Cartwheel app to save 5% on your Amope Gel Activ inserts! Not only will you save some money on this purchase, you can save money every visit! One of my go-tos to use when I'm out shopping! 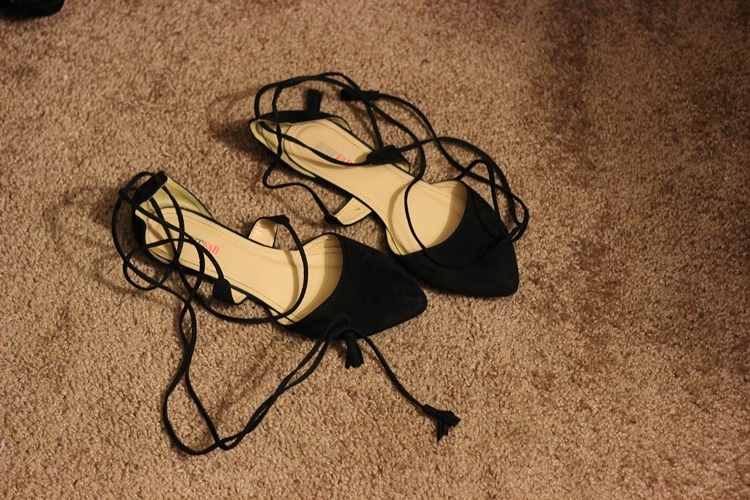 How many pairs of shoes do you own versus how many do you actually wear? These insoles allow you to wear them ALL. Which insole do you want to try next? I'm going to go for the Amopé Gel Activ Extreme Heel for to show #Amopé #ShoeLove to collection (here's just a tiny section of my shoe world). linking up with these beauties! !